Advocating for zero waste future with 3d data puppets and laughter! Our Giant No-styro Puppets reached MILLIONS of viewers, including kids, parents, taxi drivers, tourists, and elected officials. People laughed first and then asked, "What's this all about?" Giant No-styro puppets on 42nd Street! 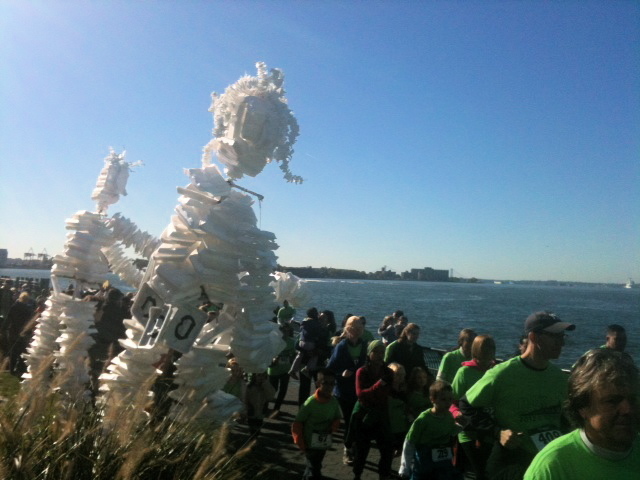 Giant No-styro Puppets RUN FOR KNOWLEDGE at Battery Park. THANK YOU, Tim and Teo, our fabulous high school volunteers, who ran with the puppets! 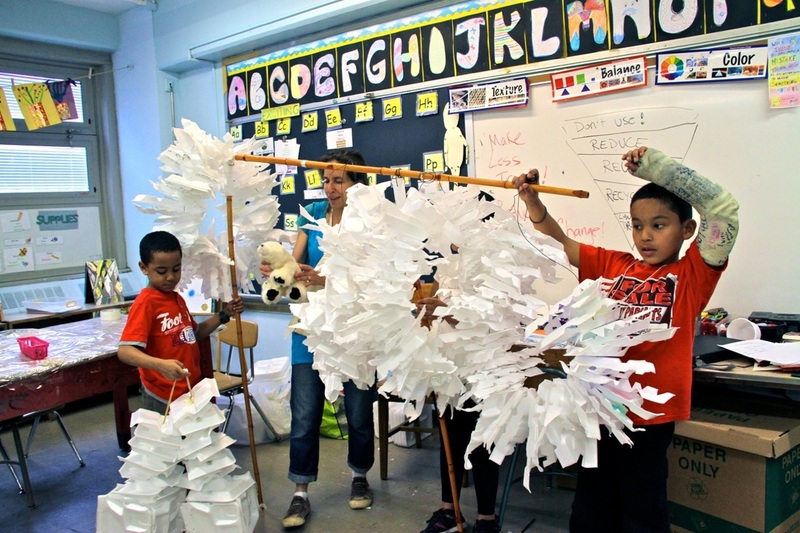 PS 20 second graders construct a giant polar bear data puppet as part of Cafcu's MAKE CHANGE MESSAGING curriculum. 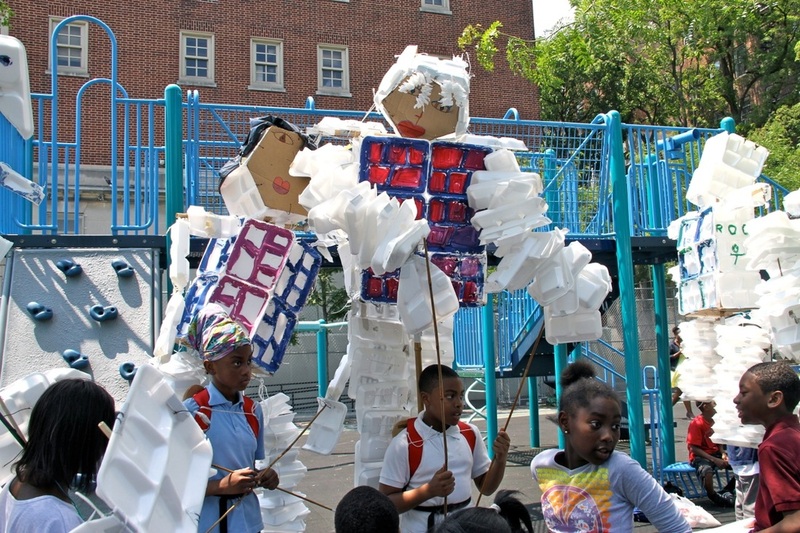 ARTS+ACTION at PS 221 K -5th grade students debated pros and cons of styrofoam use, prototyped designed or a new lunch tray, created characters, constructed puppets, then workshopped an original play about marine plastic pollution to SHARE THEIR KNOWLEDGE the school community! 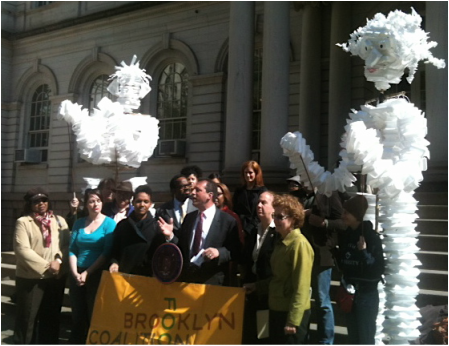 The Giant No-styro puppets at NY City Hall for a rally on improving school food. Over 3 years, the puppets posed for photos with city officials, City Council Members, a State Senator and and our US Senator! Bring us to your school or community to build data puppets! Bring the puppets to your event! The CafCu team is happy to make the trip! Head over to our Contact page to send us an email or give us a call. Availability depends on the team's schedule and we are always happy to accept honoraria to cover travel expenses. See you out there! 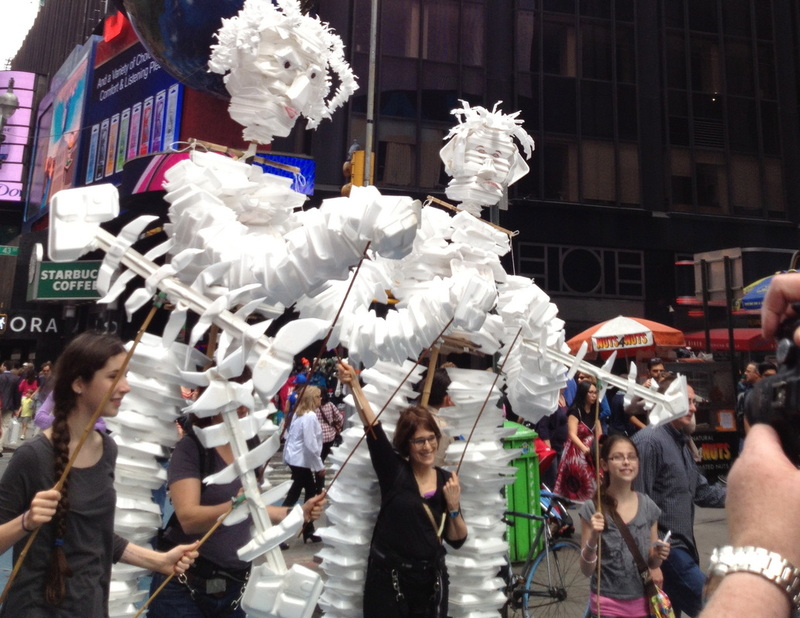 In May of 2012, the CafCu Team, in collaboration with puppet artist Mia Kanazawa and an intergenerational team of volunteers, constructed back-pack and pole puppets made of used plastic foam trays. We collected thousands of used trays from NYC public schools, then washed them. To fund the puppet project, we reached out to our supporters all over the country through Kickstarter.com. We raised over $2,500 for supplies and documentation of the project. The puppets have been parading all over New York city ever since! 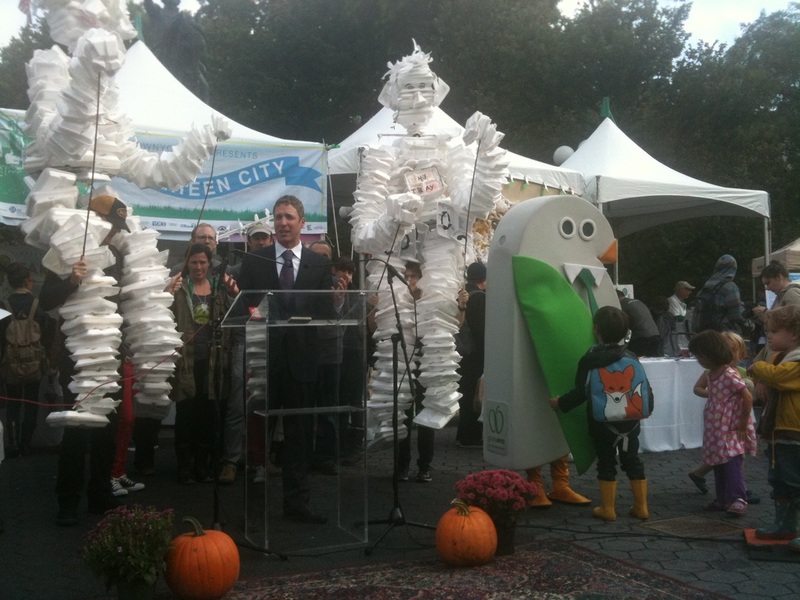 CafCu's Giant Puppets create visual metaphors to inspire public action for change. The No-styro puppets were perfect PR for publicizing the shocking statistics of NYC school cafeteria generated garbage, providing the public with the opportunity to SEE, rather than imagine, actual amounts (850,000 per day) of non-recyclable plastic foam trays.